Our heavenly Father, we acknowledge our ingratitude when we have taken your goodness for granted, when the heaven has poured forth rain and the earth has produced its fruit. Yet now we cry to you for help, as the drought in New South Wales deepens. Have mercy on our land; have mercy on the people of the land. May your bountiful hand send forth rain upon our parched earth. Fulfil your promises that while the earth remains, seedtime and harvest shall not cease, so that those in remote and rural areas may find relief from their distress and glorify your name for the provision of their needs. We ask this in the name of our Saviour, Jesus Christ. Amen. 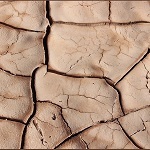 Read Sydney Anglicans article -Archbishop of Sydney launches appeal for funds to assist those whose livelihood has been seriously jeopardised by the drought in northern and western NSW. NSW Drought Appeal operated by St Vincent de Paul Society.